Unique art piece! 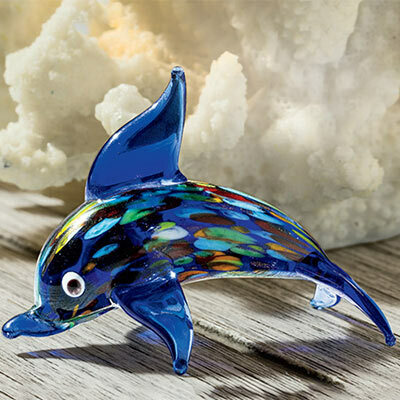 Surprise a special friend or relative with this beautiful glass dolphin. Bold royal blue is splashed with myriad colours and accented with bronze glitter. Each artisan quality piece is handcrafted and totally unique. 2"h.